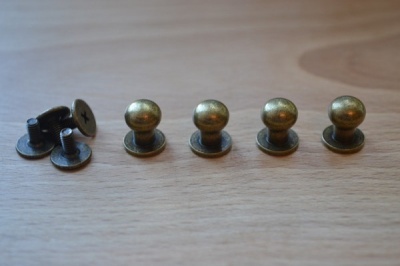 Set of 4 solid brass small knobs with antiqued finish. 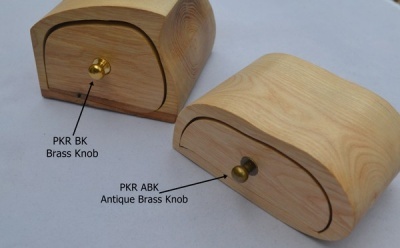 Lovely patina and a great finish for small drawers and bandsaw boxes. 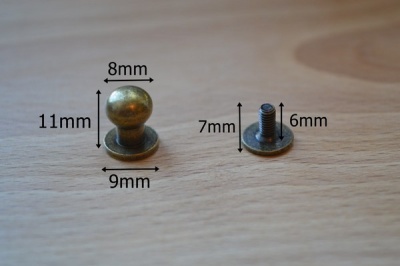 Supplied with small screws.